I believe in maximum efficiency when working with my clients, so when it is easier and cheaper for them to use do-it-yourself design tools I will encourage them to do so. 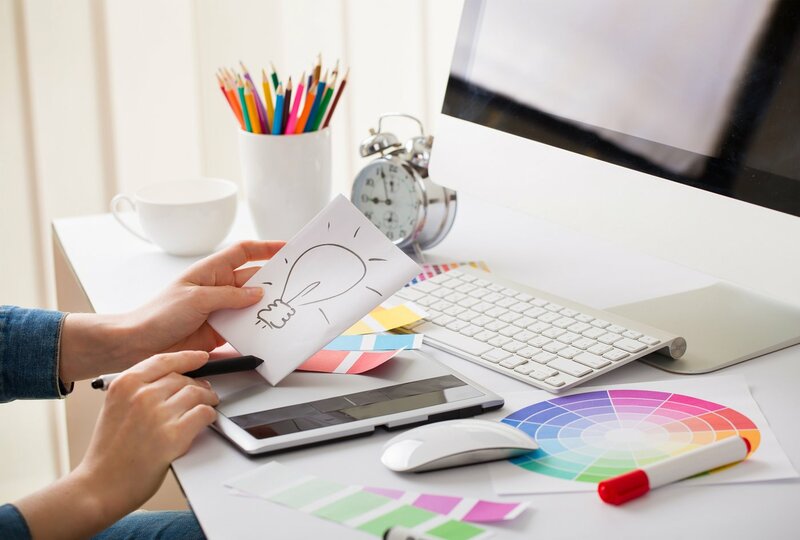 However looking for the cheapest graphic designer for your business’ important marketing materials and corporate branding can be a huge mistake and will often end up costing you more in the long-run. I can’t count the number of clients that have asked me to fix something a bad designer did for them so here are some lessons to keep you from making the two biggest cheap graphic design mistakes. You want to put your best foot forward when presenting your company and ordering a logo online is probably the worst thing you can do. The issue is that online logo sites use templated logos that they can sell over and over again. This means your logo is not unique to your business other than the business name. If you try to register your logo you may get into problems as clip-art can not be trademarked or copyrighted. Websites like 99 Designs or Fiverr can’t protect you either. You may think you are getting a custom logo design for a cheap price, but again you are not guaranteed that the designer on this site isn’t using templated logos that they have presented in multiple campaigns. Finally the problem with online cheap logo design are the files you get from the designer. You think you are getting this awesome logo for your website and then when you go to print a high-end business card or brochure with a printer they ask you for the vector art. You say what is vector art? They say we need an illustrator .ai or .eps file and all you have is a jpg or png. The bad news is – you have to get this logo redone in the proper format – it has to be redrawn in illustrator to do this. Guess what? That is going to cost you just about the same amount of money as getting a logo designed properly in the first place! You may also realize that the crazy shading and gradients in your logo, that looked amazing online – well they don’t print in 2 colour printing and 4 colour printing is going to cost you a fortune. My heart always sinks when someone comes to me and says “I hired this guy to do my website for $200 and I hate the design, it isn’t working properly and he isn’t getting back to me anymore.” As soon as I visit the site in order to prepare a consultation and quote for them I know that I have to be the one to deliver the bad news. The poor coding, the amateur design, the hosting issues or whatever else I can find from just browsing through the site. Do you understand the mechanics of your website? Most of my clients don’t understand the complex world behind the scenes of the pages they see on their computer screens. Who owns the domain name (your www address), where is your site hosted (the location of the files online), what platform is it built on (is it a WordPress site, coded site) and the questions become more scary after that. Is your website being monitored or maintained? Often I tell my clients I don’t just build the site, or customize the WordPress theme and send you on your way. WordPress sites are the most common website out there and they need regular maintenance. Themes need to be updated, WordPress software and plugins need to be up-to-date and someone should be sending you an analytics report so you can understand who is actually visiting your site, how did they get there and what can you be doing to make your site more visible online? 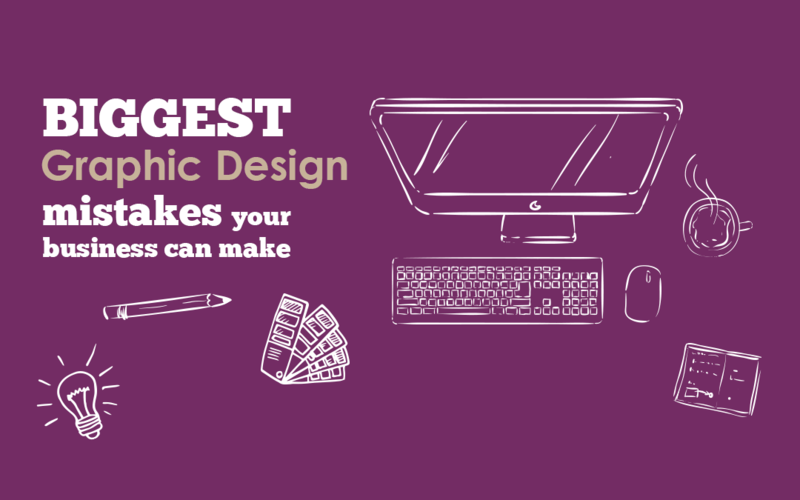 These 2 most common graphic design blunders can be avoided if you invest in a good designer from the very beginning. Sure some will send you into sticker shock, but I assure you that there is a good designer out there that will work with you and your budget to get you where you need to go. You need a logo and a website for your business to start. Spend money on the logo first and then work on the website in phases. 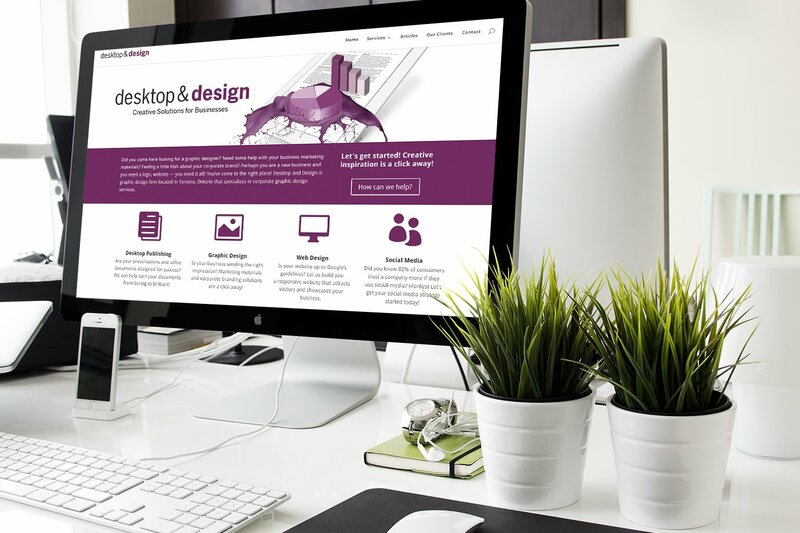 There are design solutions for every budget: can’t afford a big splashy website right of the get go, start with a free or basic WordPress site – when you are ready and budget allows you can upgrade it. WordPress is a great platform for building a site and expanding it as your business grows. Need graphic design services for your business? Perhaps some assistance with your documents, presentations or marketing materials? 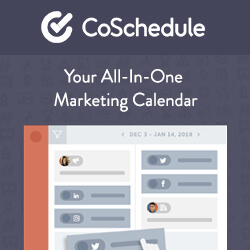 We are to help you find the right services to fit your marketing budget. Contact us to set up a consultation today!